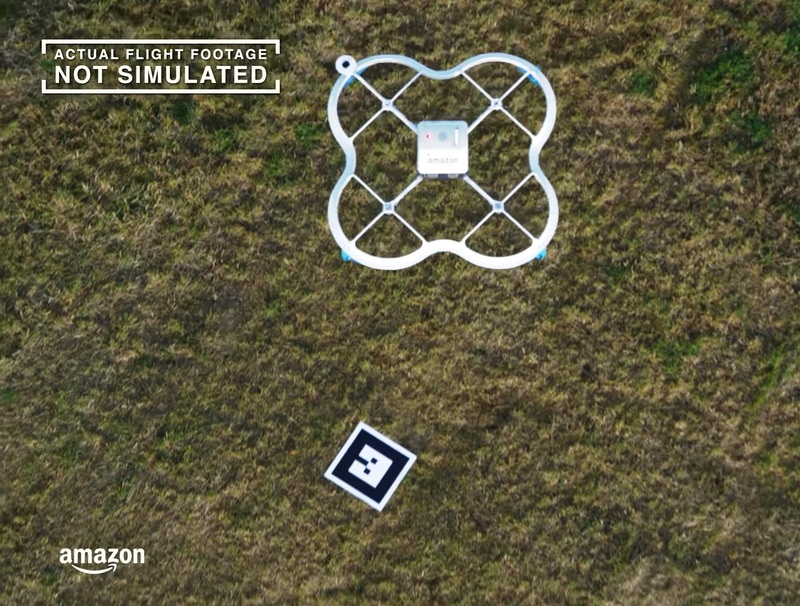 A newly published patent hints at the system that Amazon just might use to guide delivery drones to their destinations, and verify that the drone’s payloads have been dropped off at the right locations. The system, as described in an application that was filed in 2016 and published as an approved patent today, could involve having the drone recognize landmarks in the designated recipient’s yard or driveway — as well as a printed-out target with a barcode confirming the items to be delivered. If the drone spots obstructions that could interfere with the delivery — for example, tree branches, an outdoor grill or a basketball — recipients could get a message on their mobile device telling them to move the delivery target or move the obstructions out of the way. This entry was posted in GeekWire and tagged Amazon, Drones, Patents, Technology. Bookmark the permalink.